Equipment needed: 1. Foam Roller. 2. Padded Mat (optional). Today we are working on the flexibility, mobility, and stability of the shoulders and t-spine aka your upper back. We are starting off with a t-spine extension joint mobilization, which will help “un-round” your upper back. We are then moving on to shoulder blade aka scaplula and shoulder end-range movement. Finally, we are finishing up with a movement to open up the front of your shoulders, specifically your pec muscles. Let us know how your upper back and shoulders feel after today’s routine. Post on to your Instagram story or feed and tag us in it @movementvault. We’ll send you a 🤙and some ❤️. Get it guys! Equipment needed: 1. Padded mat. Today is a flow day! We are working on just about everything today. We have two flow days per week as part of the Movement Vault program. We love the social media love! Let us know how your body feels after today’s routine. Post on to your Instagram story or feed and tag us in it @movementvault. We’ll send you a 🤙and some ❤️. Get it guys! Equipment needed: 1. Mobility ball or lacrosse ball. 2. Padded Mat (optional). Today we are working on the flexibility, mobility, and stability of the shoulders and hips. We are starting out with a muscle/fascia release for your shoulder’s posterior rotator cuff muscles. These are the muscles that are located on the back of your scapula/shoulder blade and attach into your upper arm bone known as your humerus. We are then moving on to end-range stretch isometrics to stretch out and activate these same muscles. We are finishing up today’s routine with an end-range stretch for your hip adductor and abductor muscles. Let us know how your body feels after today’s routine. Post on to your Instagram story or feed and tag us in it @movementvault. We’ll send you a 🤙and some ❤️. Get it guys! Equipment needed: 1. Mobility ball or Lacrosse Ball. 2. Padded Mat (optional). Never skip feet day! Every joint in your body is important, especially your big toe. Today we are working on the flexibility, mobility, and stability of the feet, ankles, and shoulders. We are starting off with a muscle/fascia release for the top of your foot/big toe. We are then moving on to big toe end-range stretch isometrics. Next we are working on a movement that will activate and open up the muscles in the front of the ankles. Lastly, we are then finishing up with a movement that will activate all of your scapular/shoulder blade muscles. Let us know how your body feels after todays routine. Post on to your Instagram story or feed and tag us in it @movementvault. We’ll send you a 🤙and some ❤️. Get it guys! Equipment needed: 1. Padded mat. Today is a flow day! We’ve got some great activation in store! We are working on just about everything today. We have two flow days per week as part of the Movement Vault program. We love the social media love! Let us know how your body feels after today’s routine. Post on to your Instagram story or feed and tag us in it @movementvault. We’ll send you a 🤙and some ❤️. Get it guys! Equipment needed: 1. Foam Roller. 2. Padded Mat (optional). 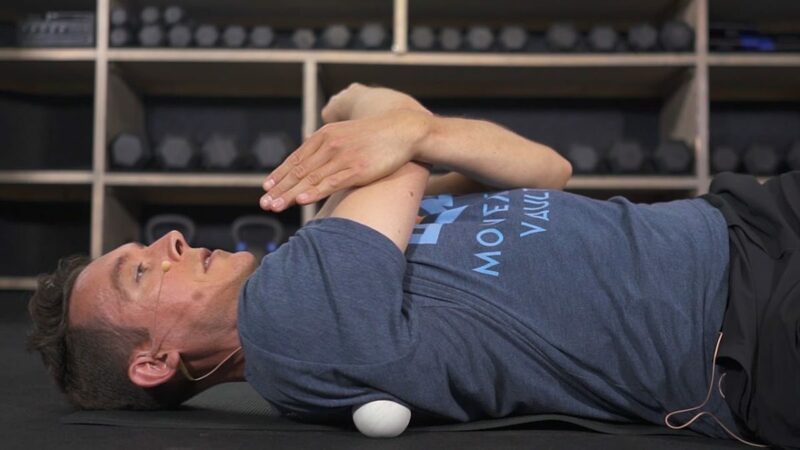 Today we are working on the flexibility, mobility, and stability of the lateral body aka all of the muscles/fascia that are located on the side of your upper body. These include your lats, obliques, quadratus lomburm, to name a few. 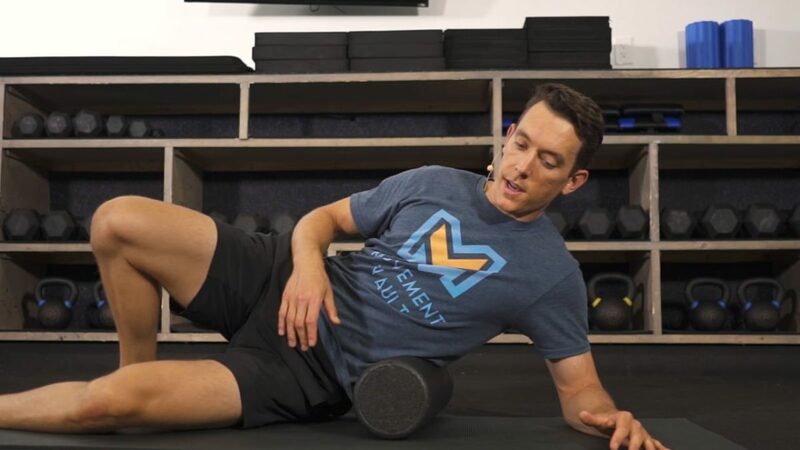 We are starting off with a foam roll fascia/muscle release for these areas and then following that up with multiple different activation and stretch techniques. Today is all about exploring your movement planes and patterns. Equipment needed: 1. Padded Mat (optional). Today is all about slow and controlled activation for the lower body. Try your best to put your attention and concentration in each muscle that we are activating around each joint. We will be working on all of the major joints of the lower body including the hips, knees, and ankles. We love hearing from you guys! Let us know how your body feels after today’s routine. Post on to your Instagram story or feed and tag us in it @movementvault. We’ll send you a 🤙and some ❤️. Get it guys! Equipment needed: 1. Foam Roller. 2. Padded Mat. Hip flexor day!!! Today we are working on the flexibility, mobility, and stability of the hip flexors, and t-spine aka your upper back. Today we are starting off with a muscle/fascia release for your anterior chain aka your hip flexors and quad muscles. We are then moving on to hip flexor end-range stretch isometrics from a 1/2 kneeling position. We are finishing up with segmented cat-camels to get every vertebrae in your spine moving. Let us know how your body feels after today’s routine. Post on to your Instagram story or feed and tag us in it @movementvault. We’ll send you a 🤙and some ❤️. Get it guys! Equipment needed: 1. Padded mat. Today is a flow day! There is a lot of goodness in today’s routine. We are working on just about everything today. We have two flow days per week as part of the Movement Vault program. We love the social media love! Let us know how your body feels after today’s routine. Post on to your Instagram story or feed and tag us in it @movementvault. We’ll send you a 🤙and some ❤️. Get it guys! Equipment needed: 1. Padded Mat (optional). Today we are working on the flexibility, mobility, and stability of the shoulders, back, and hips. 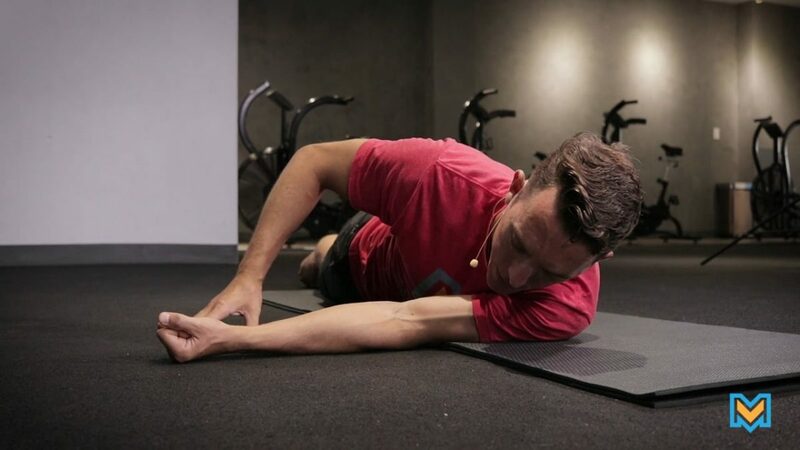 We are starting off with a stretch and activation movement for your posterior rotator cuff muscles, which are the muscles located on the back of your shoulder blade aka scapula. We are then moving on to a low back activation movement. Finally, we are finishing up with a hip end-range stretch isometrics for your hip flexors and hamstrings. Let us know how your back felt after todays routine. Post on to your Instagram story or feed and tag us in it @movementvault. We’ll send you a 🤙and some ❤️. Get it guys! Equipment needed: 1. Mobility ball or lacrosse ball. 2. Padded Mat (optional). Today we are working on the flexibility, mobility, and stability of the hips. Today is all about increasing your hip internal and external rotation. We are starting off with a glut aka 🍑muscle/fascia release. We are then working on end-range stretch isometrics and activation in the 90/90 position. Let us know how your body feels after todays routine. Post on to your Instagram story or feed and tag us in it @movementvault. We’ll send you a 🤙and some ❤️. Get it guys!